Wiltshire is the largest inland county in southern England; it is dominated by large areas of chalk downland but is a county of great variety in terms of landscapes, habitats and land-use. WSBRC covers an area of over 3,600 km2. 3,485 km2 is administered by Wiltshire Council with 706,300 residents and 230 km2 covered by Swindon Borough with a population of around 218,000. 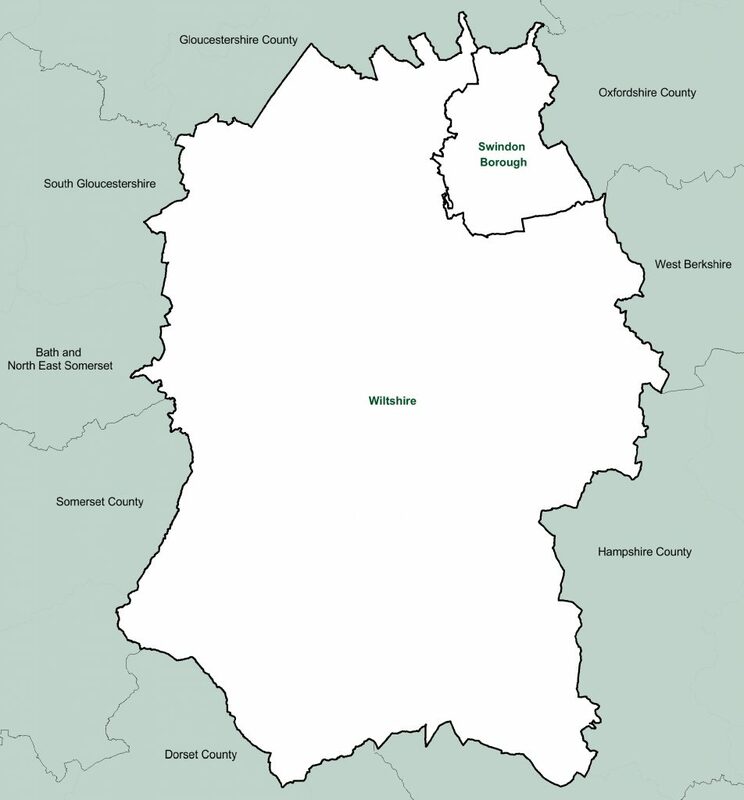 Wiltshire Council formally replaced Wiltshire County Council and the District Councils of Kennet, North Wiltshire, Salisbury and West Wiltshire in 2009 as the new unitary authority for Wiltshire. Wiltshire is a county of two parts. The phrase ‘Chalk and Cheese’ has often been used to describe the two geological and landscape forms of the county. The ‘Chalk’ is the expanses of rolling downland. This includes Salisbury Plain, Cranborne Chase and the Marlborough Downs. The Salisbury Avon and its tributaries flow through the south and the Thames in the Marlborough Downs. The southern Marlborough Downs holds the extensive ancient woodland of Savernake Forest. ‘Cheese’ refers to the clay beds of north-west Wiltshire. These flatter plains are interspersed with watercourses such as the Semington Brook, the Marden and the Biss which feed into the Bristol Avon. Further north lies the Cotswold Water Park which provides an important wetland corridor for wildlife alongside mineral extraction and recreation with its mosaic of lakes and neutral meadows. Where do the other records centres operate? Use the ALERC map to find other LERCs across the UK.